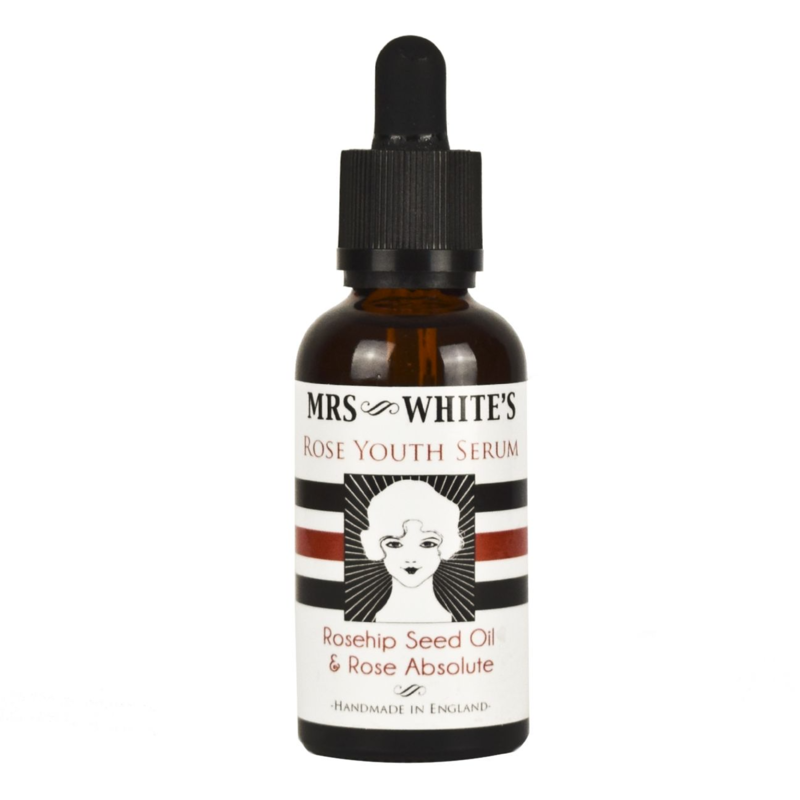 Mrs White's Rose Youth Serum is our very own anti-aging serum that is clinically proven to reverse the signs of aging. Handmade in London, Mrs White’s Rose Youth Serum contains a blend of natural rose absolute and organic rosehip seed oil that works to revitalise tired skin and repair scars and blemishes, thanks to its high concentration of Vitamin C. Rosehip seed oil is also a natural source of retinol, an essential catalyst for skin growth and the #1 dermatologist recommended cosmetic anti aging ingredient. Restore, repair, and rejuvenate your skin. Directions: Apply lightly with fingertip in a circular motion. Contains: Cold Pressed Rose Hip Seed Oil (Rosa Moschata), Rose Absolute (Rosa Damascene).